The Secretary to the Board is Mr. Billy O’ Shea who attends meetings in a non-voting capacity. Mr. Cummins, Mr. Quigley, Ms. Cahalane, Ms. O’ Donoghue, Sr. Helen and Mr. Gaynor. Apologies were received from Mr. MacGonagle and Ms. Huelswitt. As Secretary to the Board, Mr. O’ Shea also attended. The minutes of the last meeting (11 February 2019) were adopted following the proposal of Ms. O’ Donoghue, seconded by Mr. Gaynor. The Board reviewed the Health and Safety Report issued by Derek Madden following his March visit. The meeting asked Mr. O’ Shea to continue to exert pressure to ensure that remaining works are completed without further delay. The Board also expressed its view that the re-painting of corridors in the summer needed to be completed to a high professional level. 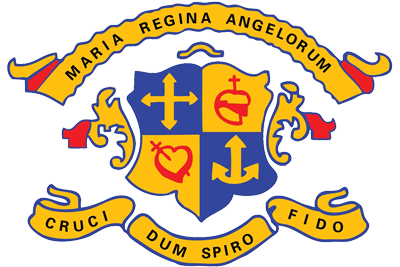 The meeting was informed by Sr. Helen and Mr. O’ Shea that the school had completed its move from Spawell Road and that a final cleaning of the building had been undertaken. Mr. O’ Shea presented an Income and Expenditure Report to the meeting covering the period from 1 September 2018 to 19 March 2019. Mr. O’ Shea presented a Child Protection Oversight Report to the meeting covering the period since the last Board meeting on 11 February 2019. The Board formally reviewed checks 1 and 2 as set out in the new model of Child Protection and Safeguarding Inspections. The Board formally adopted an action plan in respect of the outcome of a survey of 5th year students. Mr. O’ Shea briefed the meeting on the ongoing analysis of a whole school review of the Improvement Plan, 2016-2020. Members were provided with a copy of the report following the recent inspection of Home Economics in the school. The planned inservice day for staff in all five Wexford Town post-primary schools on Monday, 8 April 2019 dealing with mental health, wellbeing, critical incidents. The Board authorised a school closure on this day. The Board discussed the contents of its Agreed Report to be placed on the school website by Mr. O’ Shea. The next meeting of the Board was fixed for Monday, 29 April 2019 at 4.15 p.m.
Secretary to Board of Management. Mr. Cummins, Mr. Quigley, Ms. Cahalane, Ms. O’ Donoghue, Mr. MacGonagle, Sr. Helen, Ms. Huelswitt and Mr. Gaynor. The minutes of the last two meetings (14 January and 4 February 2019) were adopted following the proposal of Ms. O’ Donoghue, seconded by Mr. Cummins. In relation to Spawell Road, the meeting was informed that the decant of the building was nearing completion and that hazardous chemicals were to be removed in the coming days. It was agreed that the Finance Sub-Committee would meet shortly to review the costs associated with this decant. Mr. O’ Shea and Mr. MacGonagle briefed the meeting on the recent visit of DIF and NDFA officials to the school in which they set out a timeframe for the completion of remaining works. The Board reviewed the Health and Safety Report issued by Derek Madden following his January visit. Mr. O’ Shea presented an Income and Expenditure Report to the meeting covering the period from 1 September 2018 to 11 February 2019. Mr. O’ Shea presented a Child Protection Oversight Report to the meeting covering the period since the last Board meeting on 14 January 2019. The Board formally reviewed the Child Safeguarding Statement and associated risk assessment. It was agreed to implement follow-up actions in relation to seeking parent and student feedback by the summer. Mr. O’ Shea and Ms. O’ Reilly were formally re-appointed as Designated Liaison Person (DLP) and Deputy DLP respectively. Mr. O’ Shea and Sr. Helen presented a report to the Board on the new model of Child Protection and Safeguarding Inspections. It was agreed to review two checks at each meeting of the Board until the entire checklist is completed. The Board formally adopted a new policy document in relation to Special Education Teaching and Whole-School Inclusion. It was agreed that further detail should be provided in relation to dealing with exceptionally able students. The next meeting of the Board was fixed for Wednesday, 20 March 2019 at 4.15 p.m. The minutes of the last two meetings (3 December and 10 December 2018) were adopted following the proposal of Ms. Cahalane, seconded by Mr. Cummins. The meeting agreed that arrangements be put in place to clear the Spawell Road building of material and all loose furniture in the coming weeks. In relation to the new school, Mr. O’ Shea reported that many issues had been dealt with during the first term. He pointed to three significant outstanding issues that had been brought to the attention of the NDFA – the finshing of the GAA pitch, the commissioning of the building management system and the repair of the rainwater harvesting system. Mr. O’ Shea presented an Income and Expenditure Report to the meeting covering the period from 1 September 2018 to 14 January 2019. Mr. O’ Shea presented a Child Protection Oversight Report to the meeting covering the period since the last Board meeting on 3 December 2018. He also reported that, along with Sr. Helen, he would be attending JMB inservice on the new inspection model for child protection in Kilkenny on 5 February 2019. Mr. O’ Shea informed the Board that Derek Madden’s next visit to the school was scheduled for Monday, 21 January 2019 and that a report would issue thereafter. The Board formally ratified amended policies in relation to Relationships and Sexuality Education (RSE) and the Code of Behaviour. Mr. O’ Shea updated the Board on the extent of the School Plan that now ran to 400 pages. It was pointed out that the School Planning Group was currently reviewing the School Improvement Plan (2016 to 2020) before proceeding to review policy on mobile devices. It was reported that work had commenced on the timetable for 2019/2020 and that subject choice talks for 1st and 4th year parents and students would be taking place within the next week. It was noted that Technology would be offered as an optional subject in 5th year from September 2019. Mr. MacGonagle thanked the school for its recent donation of €3,000 to the St. Vincent de Paul Society. The next two meetings of the Board were fixed for Monday, 4 February 2019 at 4.15 p.m. and for Monday, 11 February 2019 at 4.30 p.m. The minutes of the last meeting (5 November 2018) were adopted following the proposal of Ms. Cahalane, seconded by Ms. O’ Donoghue. The Board considered matters relating to the admission of students into 1st year, September 2019. Mr. O’ Shea presented a Child Protection Oversight Report to the meeting covering the period since the last Board meeting on 5 November 2018. Mr. O’ Shea presented the meeting with Derek Madden’s report on his November visit to the school. The Board agreed to review the draft policy document on Relationships and Sexuality Education at its January meeting. Mr. O’ Shea informed the meeting that an updated Critical Incident Management Plan was at final draft stage. He also updated the Board on recent inservice training relating to the new Junior Cycle programme. Following a consultation process with staff, the Board agreed an amended Leadership and Management Framework to take effect immediately. The meeting discussed the decant of Spawell Road. The next two meetings of the Board were fixed for Monday, 10 December 2018 at 4.15 p.m. and for Monday, 14 January 2019 at 4.30 p.m.
Mr. Cummins, Mr. Quigley, Ms. Cahalane, Ms. O’ Donoghue, Mr. MacGonagle, Sr. Helen and Mr. Gaynor. Apologies were received from Ms. Huelswitt. In the absence of Sr. Helen at the start of the meeting, Mr. Quigley was appointed as chairperson. The minutes of the last meeting (8 October 2018) were adopted following the proposal of Ms. Cahalane, seconded by Mr. Cummins. The Board was informed that 308 valid applications had been received. In accordance with its Admission Policy, the Board agreed the allocation of the 150 places for 1st year, September 2019. The meeting was informed of ongoing work on the GAA pitch as well as the builders’ snagging list. Mr. O’ Shea reported that the disposal of assets in Spawell Road was continuing. The Board was informed that the annual audit had been conducted between 23 and 25 October 2018 and that a draft report was awaited. An Income and Expenditure Report for the year to date was presented to the meeting. Mr. O’ Shea presented a Child Protection Oversight Report to the meeting covering the period since the last Board meeting on 8 October 2018. Mr. O’ Shea presented the meeting with a proposed organisational structure submitted by Derek Madden (Health and Safety Manager). The meeting discussed the respective roles of the Facilities Management Company and the Board of Management in relation to overall health and safety matters. The Board was informed of the work of the School Planning Group in relation to a review of the school’s Code of Behaviour. Arrangements for 2 days of Junior Cycle inservice training for teachers were also outlined. The meeting expressed its sympathy to Mr. MacGonagle on the recent death of his brother. The next meeting of the Board was fixed for Monday, 3 December 2018 at 4.30 p.m.
Mr. Cummins, Mr. Quigley, Ms. Cahalane, Ms. O’ Donoghue, Ms. Huelswitt and Mr. Gaynor. Apologies were received from Sr. Helen and Mr. Mac Gonagle. In the absence of Sr. Helen, Mr. Quigley was appointed to chair the meeting. Mr. Gaynor, the new parent nominee, was welcomed to the meeting. The minutes of the last meetings (11 and 24 September 2018) were adopted following the proposal of Ms. O’ Donoghue, seconded by Ms. Huelswitt. JMB Bulletin 06 in relation to Child Protection was considered in detail by the meeting. It was agreed to ask Sr. Helen to assist Mr. O’ Shea in ensuring full compliance by the school with all child protection requirements. The meeting was advised that work was continuing on the disposal of assets in Spawell Road. It was reported to the meeting that work was due to start very shortly on the GAA pitch and that the polytunnel had been covered. Mr. O’ Shea advised that weekly meetings continue with the Facilities Management Team (FMT) and that many snagging items were gradually being resolved. A draft report was circulated to members by Mr. O’ Shea. It was agreed to submit any observations to him by the end of the week and that the final document would be presented to parents at the Autumn General Meeting on Monday, 15 October 2018. The Board formally approved the budget for 2018/2019. It was noted that the annual audit would take place between 22-24 October 2018. Mr. O’ Shea presented a Child Protection Oversight Report to the meeting covering the period since the last Board meeting on 11 September 2018. Mr. O’ Shea presented the meeting with the monthly report of the Health and Safety Manager, Derek Madden, who had visited the school twice since the last Board meeting. New fire drill/emergency procedures were agreed following the completion of the first fire drill on Monday, 1 October 2018. The Board was informed of the work of the School Planning Group in relation to whole-school assessment. The impact of classroom based assessments in 2nd and 3rd years was discussed by the meeting. The next meeting of the Board was fixed for Monday, 5 November 2018 at 4.30 p.m.
Mr. Cummins, Mr. Clancy, Mr. MacGonagle, Mr. Quigley, Ms. Cahalane, Ms. O’ Donoghue and Sr. Helen. The minutes of the last meeting (7 June 2018) were adopted following the proposal of Mr. MacGonagle, seconded by Mr. Quigley. The Board was informed that classes had commenced in the new school building at Pembroke Hill. Areas of outstanding work were outlined – GAA pitch, polytunnel, phones, traffic management. Sr. Helen thanked all Board members for their outstanding commitment to the development of the new school over a long number of years. The Board reviewed the Income and Expenditure A/c from 1 September 2017 to 29 August 2018. It was agreed that the Finance Sub-Committee would meet in the coming weeks to draft a budget for 2018/2019. In view of the school’s increasing size, it was agreed by the Board that a second position of Receptionist should be advertised and filled. Mr. O’ Shea presented a Child Protection Oversight Report to the meeting covering the period since the last Board meeting on 7 June 2018. Mr. O’ Shea informed the meeting that the school’s Health and Safety Manager, Derek Madden, would make his first visit to the new school on Monday, 17 September 2018 and that a report would be issued to the Board thereafter and following each monthly visit throughout the 2018/2019 school year. Sr. Helen thanked Mr. Clancy for his outstanding service to the Board, particularly in relation to IT procurement issues. The next meeting of the Board was fixed for Monday, 8 October 2018 at 4.30 p.m.